Female fronted symphonic metal spiced up with a solid infusion of progressive metal; sounds familiar...? 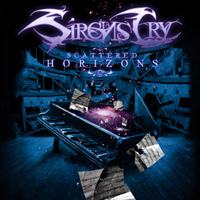 Siren's Cry tries with their debut album "Scattered Horizons" to stand out in a very crowded genre, and to a certain degree they have succeeded. But on the other hand, they are walking a path walked so many times before by so many other bands that it's really hard to offer something new and extraordinary. They have surely done everything in their power to overcome the odds against them: a very good vocalist, a first class deliverance, highly skilled musicians, a sufficient production and some solid songs. They do even deliver a few songs that borders to brilliant, like "Elegy of R’lyeh" and "Sahara Sagas Pt I", and they do at no point become predictable or cheesy, which is fairly easy in this genre. "Scattered Horizons" is a rock solid debut album, and even though they don't bring anything new to the scene, they do make a very strong case for themselves. If you like the titans in the genre then I am sure you'll find an enjoyable time together with Siren's Cry as well.